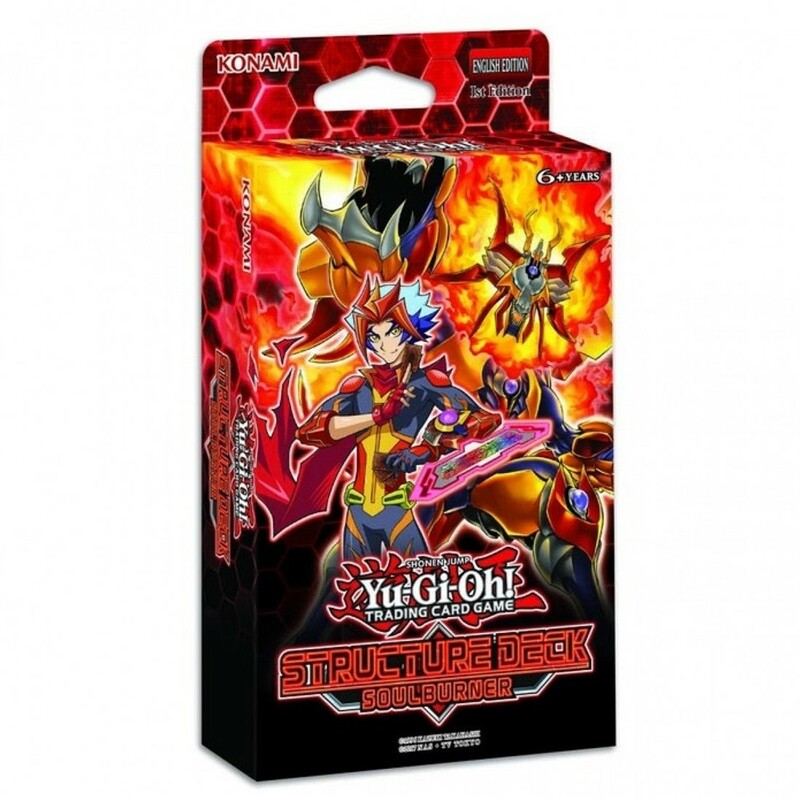 Soulburner Structure Deck voor Yu-Gi-Oh! TCG. Een deck bevat 3 Ultra Rares, 4 Super Rares, 39 Commons, 1 Beginners Guide en 1 Double-sided Playmat.